When it comes to sports like tennis, quality pavement is one of the most important elements. Without quality pavement, players can’t fully enjoy the game and may even be prone to injury; if your tennis courts have dips, cracks, or potholes, they could pose a threat to those who use them. At Mr. Pavement, we offer the best in tennis court paving and can pave or repave your courts quickly and professionally. If your tennis courts are damaged, we can easily assess them and repair them to restore their integrity and make them look as good as new. 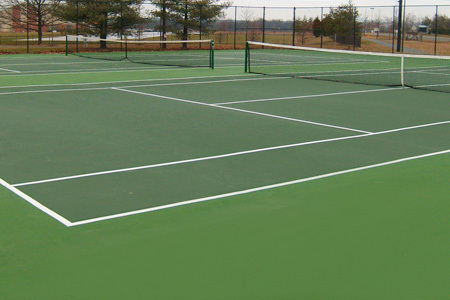 If you’re in need of a new tennis court, we’d be happy to consult with you to discuss the details of your installation. We’ll discuss how large you’d like your tennis court to be (whether it’s standard-sized or customized) and what color you prefer. We can also professionally line the court for you according to your preferences. Our company has been satisfying customers with our many paving services for more than 10 years. We serve both residential and commercial properties and offer a wide variety of paving solutions such as driveways, walkways, parking lots, and more. 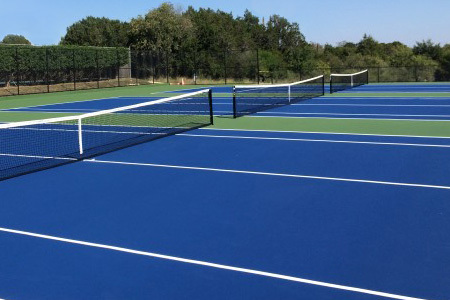 If you’re in need of tennis court paving, don’t hesitate to give us a call and we’ll get you started as quickly as possible to give you a beautiful, quality tennis court in no time.